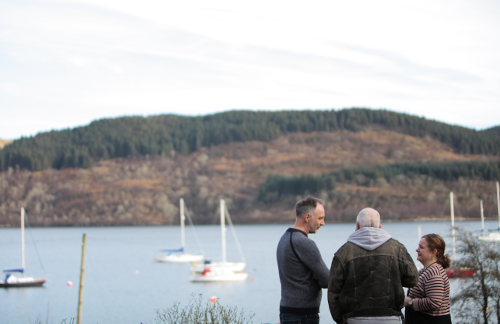 The Touring Network supports, represents and connects a vibrant community of independent promoters in the Highlands and Islands – people who transform remote community spaces into cultural centres and performance venues. This Autumn, The Touring Network has set aside some dates to bring promoters together to share their experiences and learn from each other. Whilst over 50% of Touring Network promotors are well established and confident, there are a number of you who have spoken up and told us that you’re struggling to continue promoting, or need some help to get started – so, the aim of the Micro Gathering is to allow an open forum to connect, promoter to promoter. 1. Communication between Promoters – How do we communicate as a Network to aide programming and promoting successful tours? 2. Audience Development & Community Engagement – How to engage with your community to help programme and promote effectively. There will be a mix of inspiring discussions, opportunities to share practical advice, and an indepth and hands on look at the exciting new TOURBOOK. More importantly though, it’s a genuine opportunity for us to come together to share how you work and make sure you go away feeling confident, having learned something new or made a valuable connection. We at The Touring Network also hope to gain a better understanding of you as people, your programming ideas, as well as any potential hurdles we can help you overcome. The Micro Gathering will go on to inform our activities over the coming months in the lead up to The Gathering 2018 – so register now to make sure your voice is heard! Not a member of The Touring Network? Non-member promoters are welcome to attend the Micro Gathering for a small fee – just select the Non-Member Promoter ticket option when reserving your place. 10.15am – Exploring the Network – who are the promoters, how does it work, what support does/should The Touring Network provide?